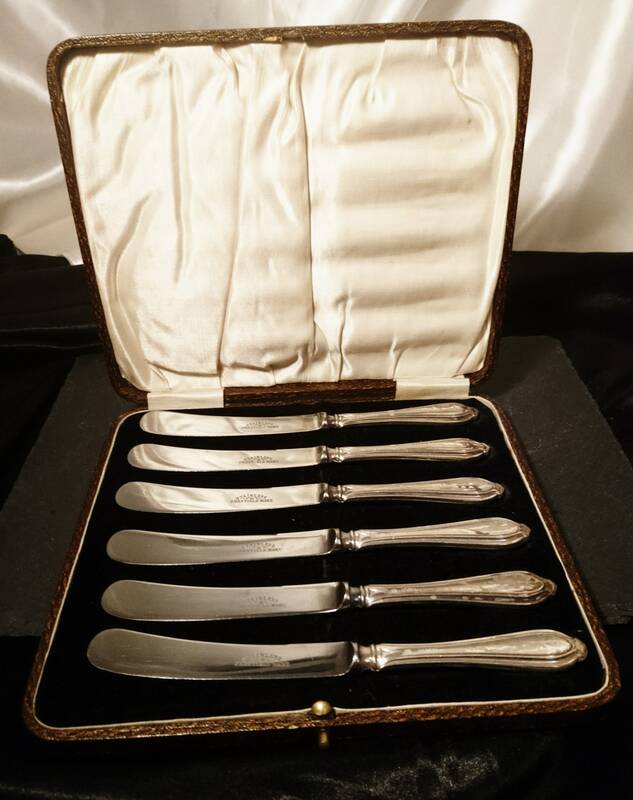 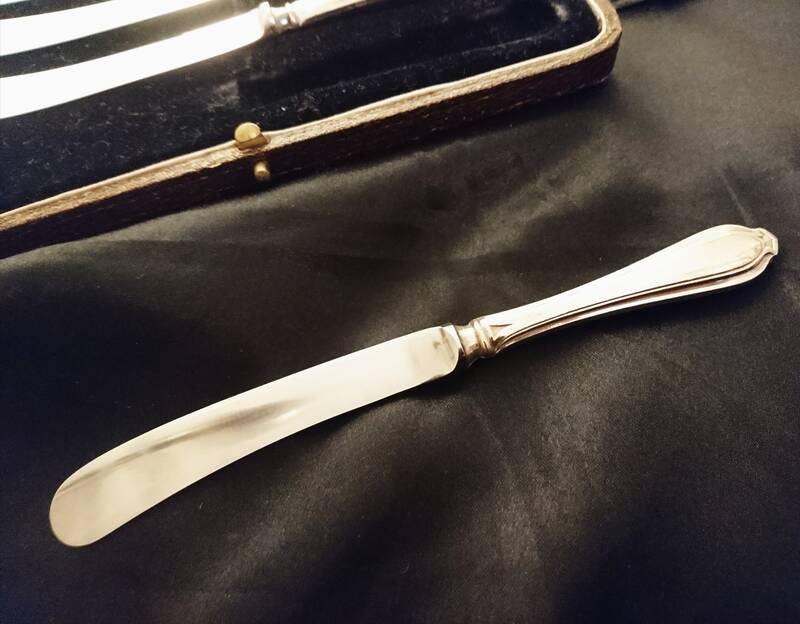 A lovely vintage set of silver handled dessert / cake knives. 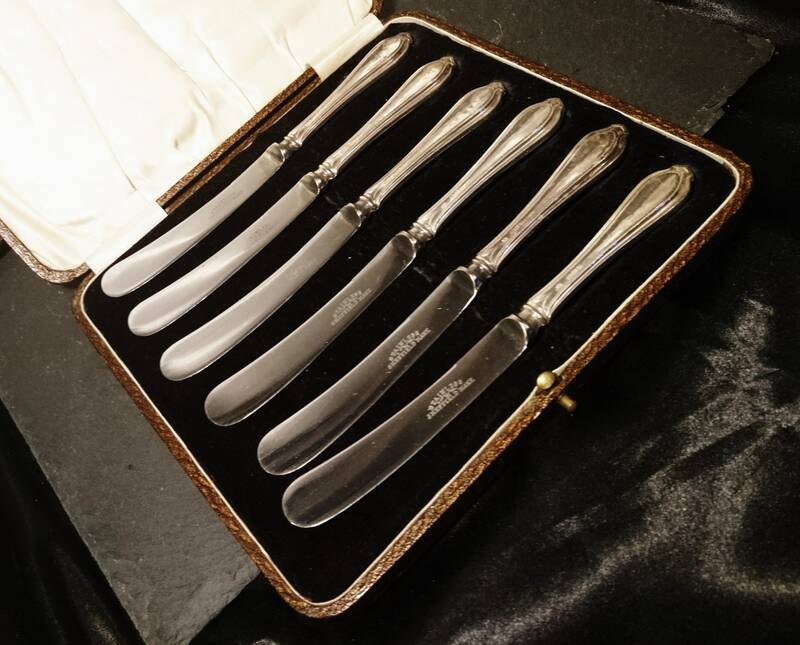 They come in the original case 6 knives in total, the blades are made from Sheffield steel and the handles are fully hallmarked sterling silver. 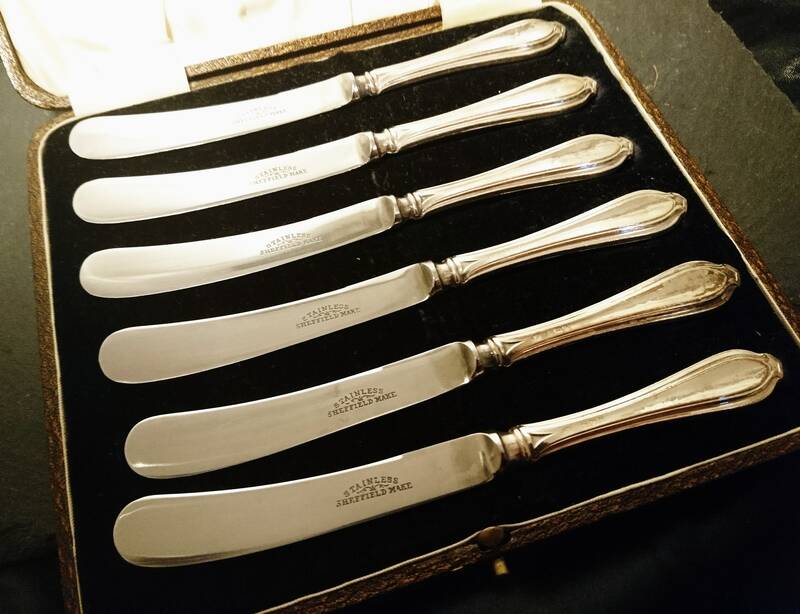 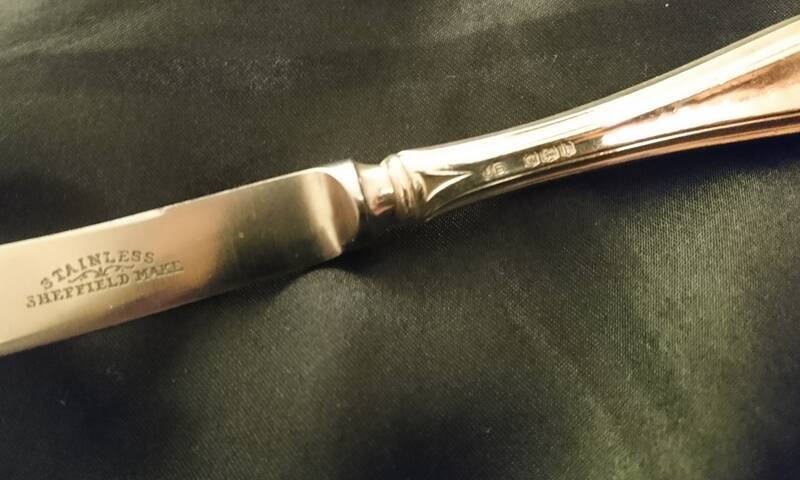 Each knife is approximately 6" in length and each is individually hallmarked, Sheffield, John Biggin, 1925, lion passant. 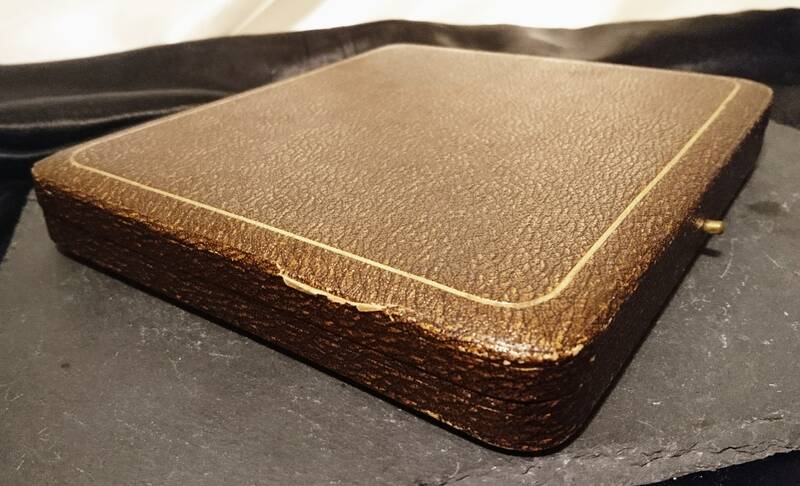 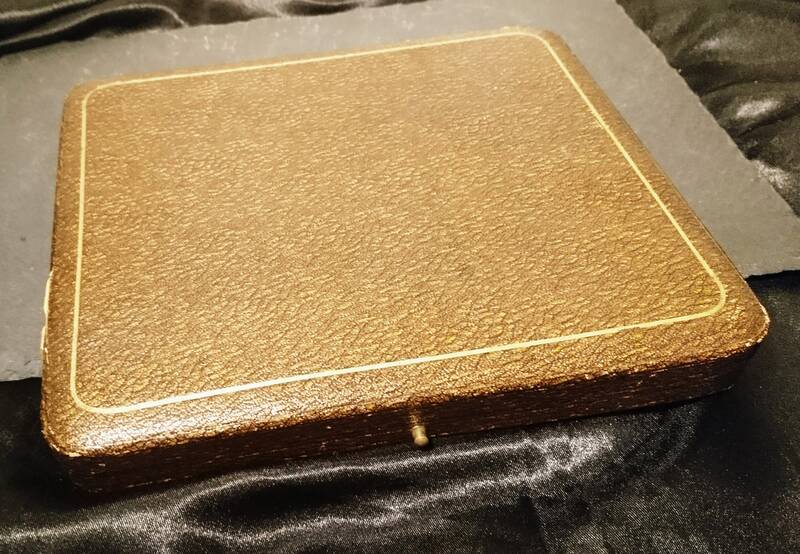 The case overall measures 7.5" width, 6" length and 1" height. 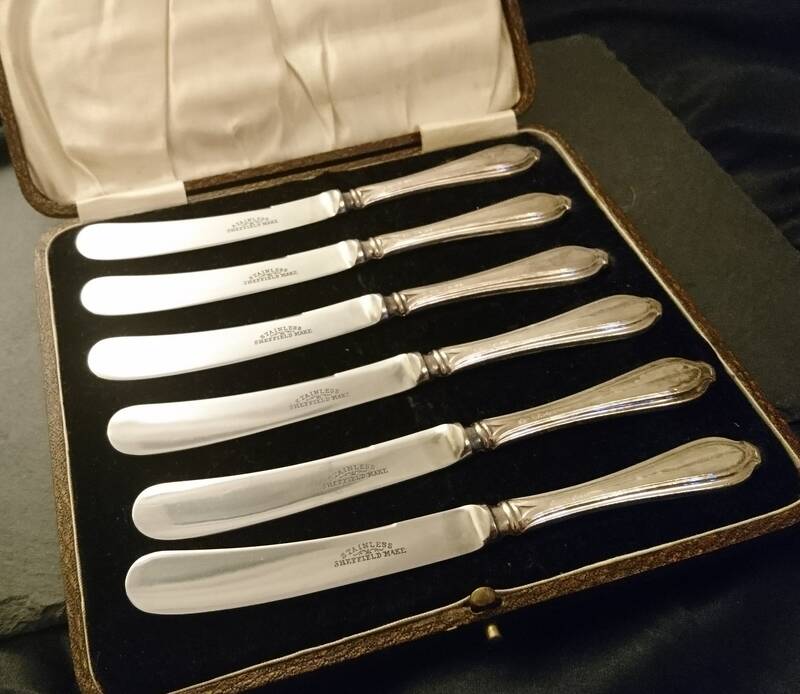 They are in great vintage condition, the handles show some wear and ageing and the box is worn in places, nice clean blades.